If we were asked to draw a picture of Christmas we might draw shepherds, angels, three wise men, a manger, Mary and Joseph, a star, lots of animals looking serenely into the face of a sleeping Jesus who has wisps of blond hair and a glowing halo. It’s all quite Hallmark, but surround these religious details with robins, snow-flakes, and reindeer and we seem to have lost the point completely. Our view of the ‘stable’ is obscured by the details we have added, for example it doesn’t say about any animals being present. N.T. Wright suggests that Mary and Joseph were housed on the ground floor of a two-story structure in a room that was duel purpose. It could be used for animals, but also could be used for a spare room. The analogy might be to see the room more like an American garage than like a barn. In Luke there are no kings and some of the other details found in Matthew are missing. The common man is highlighted as empowered by God as messengers of good news. 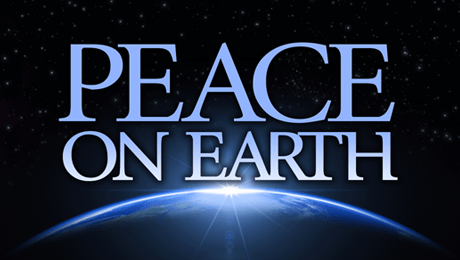 There will be peace on earth. There will be shalom. God is reharmonizing, reconciling and embracing the world through a strange birth with a baby in a feeding trough. In all the many details of Christmas we may miss the point. God, I don’t know when you came to earth in the person of Jesus. Jesus, I don’t know all the details of your birth. However, I do know that you gave up the best situation in the world to enter the squalor of our world. What details are present in the story that we associate with Christmas? How does Philippians 2 apply the events of this story? How do you bring the story of God’s peace to those who lack peace, especially peace with God?